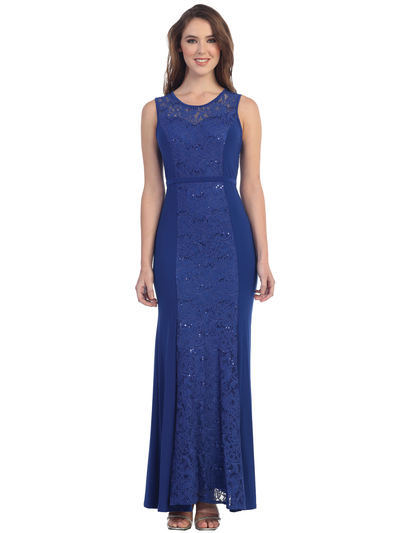 Sleeveless Lace Evening Dress | Sung Boutique L.A. This evening dress features sleeveless bodice with lace panel. Belted waist and floor length flare hem dress for the style.